Carroll’s 31 points represented the most scored in Top 16 Game 6 and tied for the third in the stage thus far. Bobby Brown remains the Top 16’s premier scorer with an average of 21.8 points per game. Brose Baskets big man Sharrod Ford grabbed 14 rebounds to lead all players this week’s games. He is now sixth in the Top 16 with 6.6 rebounds per game. Viktor Khryapa is the leader with 8.2 per game. 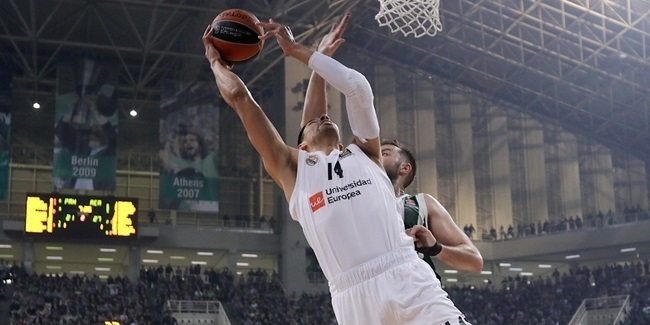 Former MVP Dimitris Diamantidis of Panathinaikos had the most assists this week with 9. His 5.8 assists per game trail only Zoran Planinic of BC Khimki Moscow Region’s 6.7 per game in the Top 16. 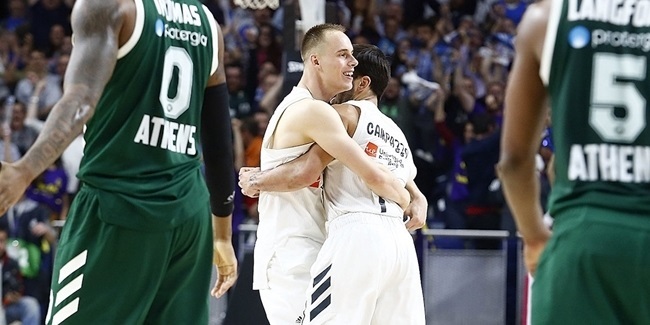 Four players – Nemanja Bjelica of Caja Laboral Vitoria, Rudy Fernandez, Kristjan Kangur of Montepaschi Siena and Jamon Lucas of Anadolu Efes Istanbul – had 3 steals to lead all Top 16 Game 6 players. Lucas tops the Top 16 charts with 2.8 steals per game. CSKA center Sasha Kaun rejected 4 shots this week, more than any other player. He is tied for third in the Top 16 with 1.5 blocks per game; Tomas Ress of Siena leads all players with 2.3 blocks per game in the Top 16. 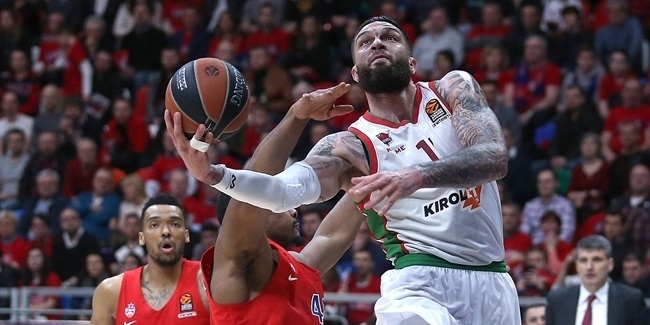 Three players recorded Top 16 Game 6 double doubles: Rudy Fernandez, Sharod Ford (15 points, 14 rebounds) and Kerem Gonlum of Anadolu Efes (13 points, 10 rebounds).